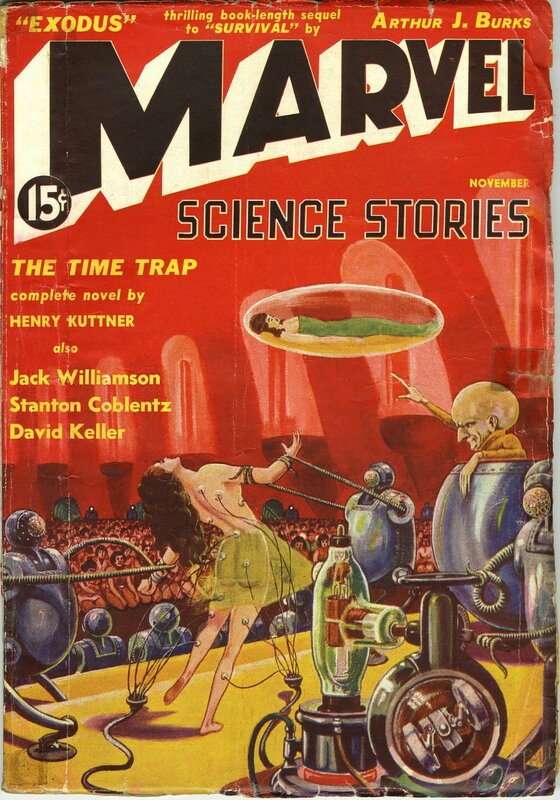 I’m not sure exactly what the eerie ray the bug-eyed monsters in the tentacle-suits are pointing at this poor girl’s bottom is supposed to be doing to it. But judging by the rapt attention of the audience, it must be something rather entertaining! 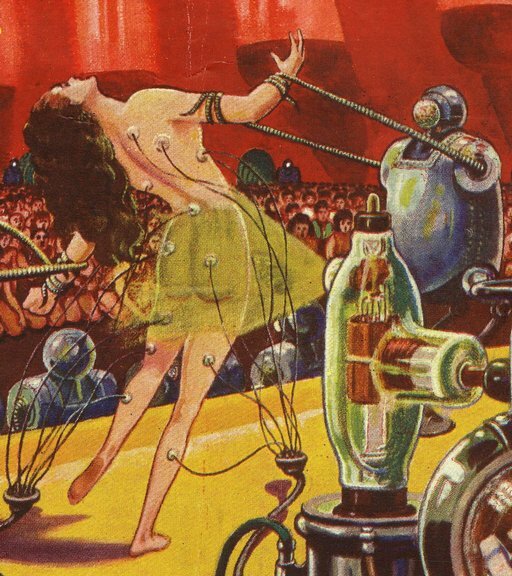 Art is a detail from the cover of an old Marvel Science Stories.